The Ultimate Green Living Guide - Average People Living Green & Sharing Ecofriendly Ideas, Green Products, Environmental News, And DIY Repurposing Ideas - Real people. Real experiences. Real helpful. My budget-friendly tips for creating an eco friendly house. 9 simple ideas — from replacing plastic with natural materials to choosing eco friendly cleaning products and 7 other green home tips. 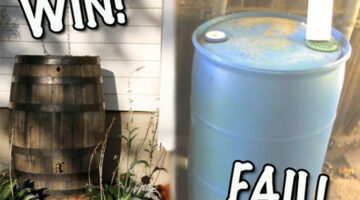 Pretty Rain Barrels: 3 Cheap DIY Rain Barrels That Actually Look Nice! You have to plan ahead how you’ll be watering plants on vacation even though you’re not there. Here are 2 really simple ways to water plants while away + 3 clever DIY solutions that you might want to try. My best ideas for watering house plants on vacation. Like animals? Want to help save endangered species? Here are 3 fun wildlife tours that help support wildlife conservation at the same time! 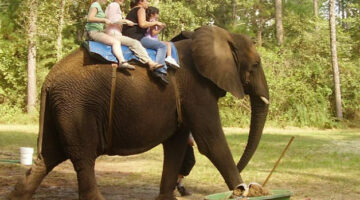 Ecotourism is a way to enjoy vacation while staying green. Here are 4 green vacation ideas you can explore right near your home – with tips to get started! See why palm oil is so dangerous and how palm oil products are being used these days. Since palm oil is labeled under many different aliases, here’s a list of ingredients to look for if you want to avoid palm oils in the products you buy. If you’re looking for a green job, here are 10 awesome career choices. From urban planning to recycling, these are 10 green jobs that are booming! A few years ago, I moved into a new house and installed a smart lighting system throughout as part of an extensive remodel. 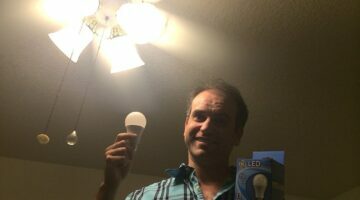 Here is my personal experience with smart lighting — the pros and cons of this smart home technology that makes the lights go on and off automatically on a schedule and whenever motion is sensed. LED bulbs are more affordable than ever – so I’m finally converting my entire home to LED light bulbs. See my top 5 picks for the best performing cheap LED bulbs.